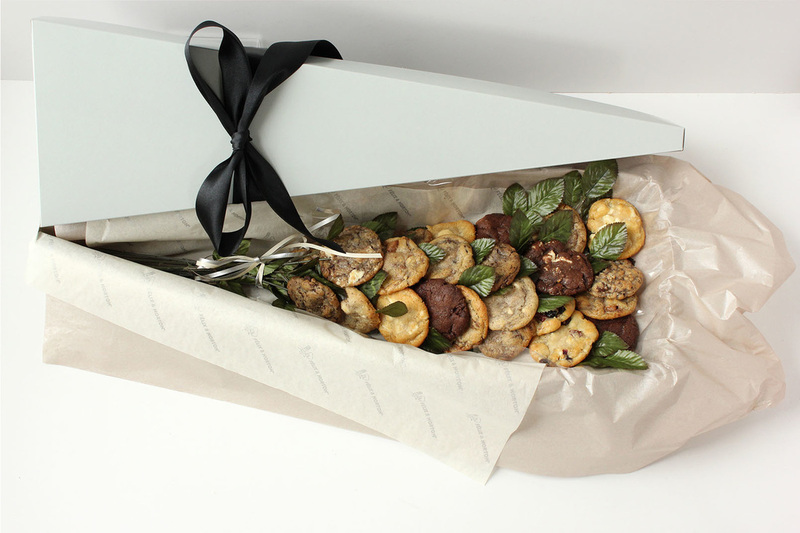 ​FRESHLY BAKED COOKIES, CUSTOM GIFT TAGS AND GIFT WRAPPING. 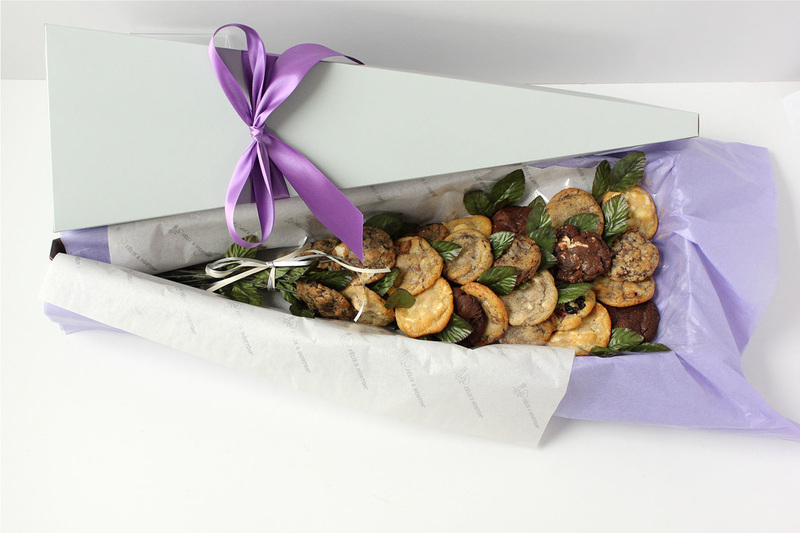 We'll even deliver to your office or your clients. 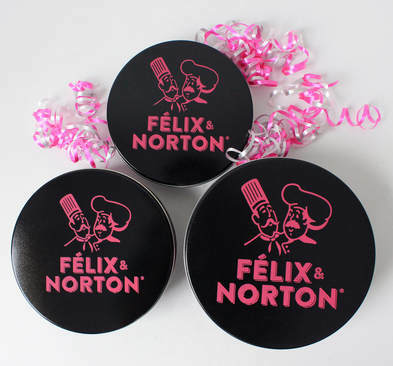 Félix & Norton has been proudly serving corporate clients for over 30 years, mastering the art of gift-giving for all occasions. 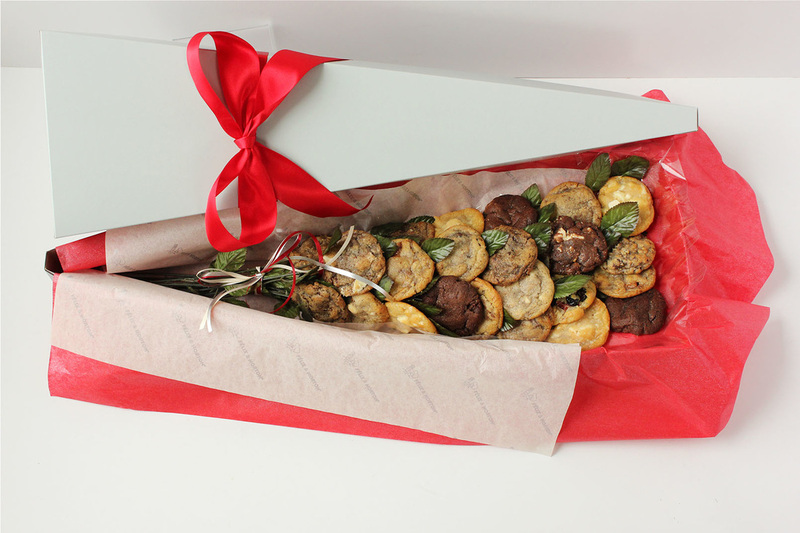 Our most popular gift item and a Félix & Norton original, the Cookie Bouquet is ideal for all occasions! 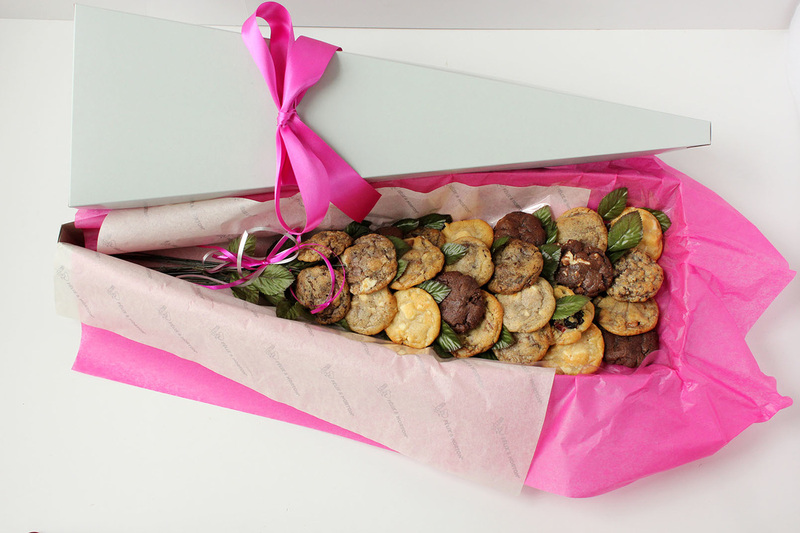 Each cookie is placed on its own long stem and nestled in a bed of tissue. 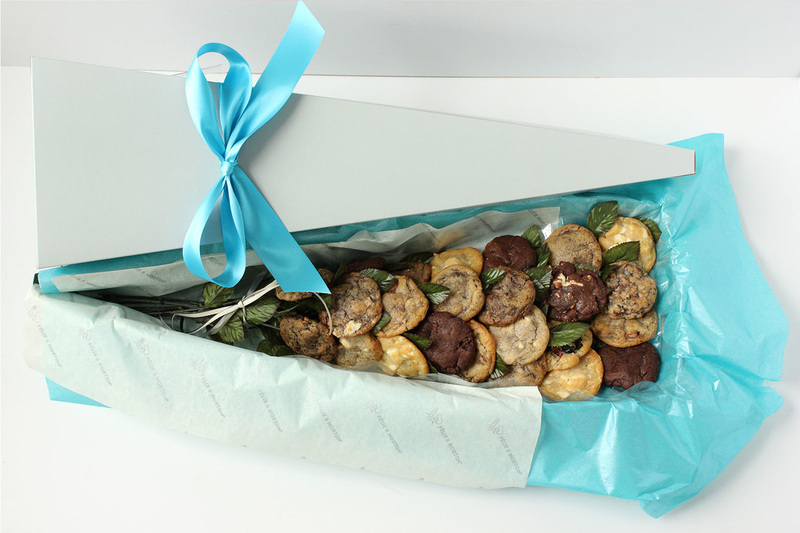 The Cookie Bouquet® is presented in our signature silver flower box and finished with satin ribbon. Fill any of these tins with freshly baked, chewy, irresistible cookies. You may choose from any of our 14 flavours, or we'll mix 'em up with a nice assortment. 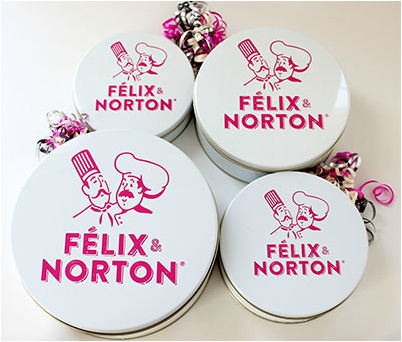 Each tin is tied with ribbon, then presented in a Félix & Norton gift bag. (E-mails answered within 2 business days. Please call for quicker assistance).